YEEHAW! Saddle up and get ready to throw down at your next hoedown with the Cowboy Drinking Hat from Fairly Odd Novelties! This burgundy plastic hat / helmet hybrid would look right at home on your Dad's head as it would on John Wayne's! Get ready to giddyup towards some good times, pardner! YEEHAW! Saddle up and get ready to throw down at your next hoedown with the Cowboy Drinking Hat from Fairly Odd Novelties! This hate brings out the inner Wild West instincts in everybody, and does it in serious style! 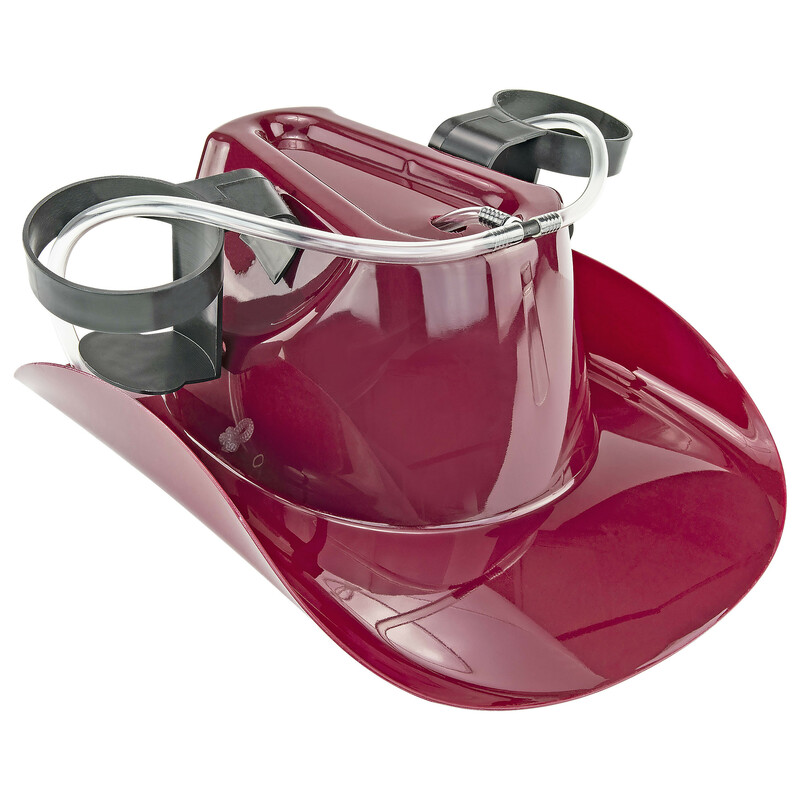 This burgundy plastic hat / helmet hybrid would look right at home on your Dad's head as it would on John Wayne's! Whether you're sipping dual beers or a double serving of soda, you'll be the life of the rodeo... or birthday, office, bachelor, or block party! This hat will also get any recipient square dancing with delight as they prepare to join you out on the trail of good times. No need to keep the horses in the back, let them run free and order yours today! GIDDYUP! One size fits most. Can hold 2 beverages of your choice and is connected via tube fitted onto helmet.